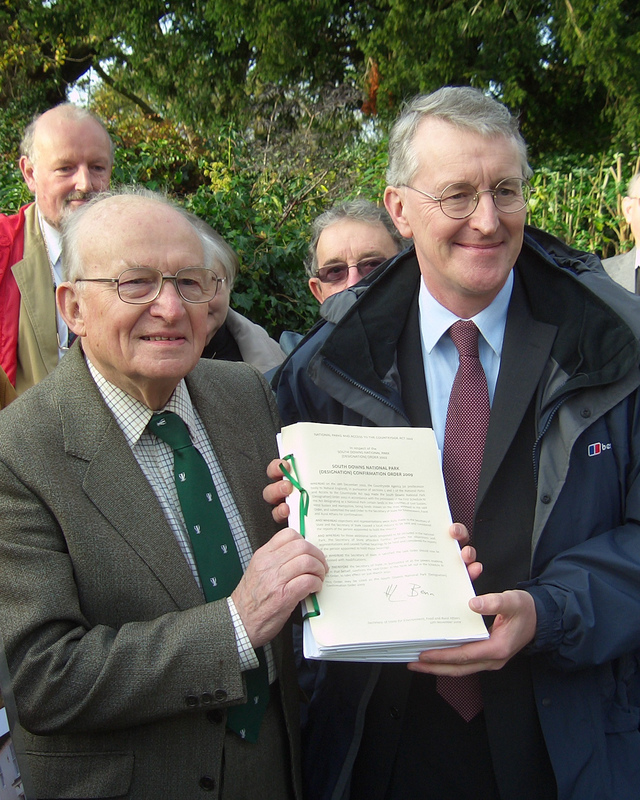 Brighton & Hove Friends of the Earth (BHFOE) is today celebrating the 5th anniversary of the signing of the South Downs National Park Confirmation Order by the Rt Hon Hilary Benn MP in Ditchling, who was the Secretary of State for the Environment, Food and Rural Affairs in 2009. This was the final hurdle to establishing the South Downs National Park, which came into existence on 31 March 2010. BHFOE believes that the National Park has been an important development in safeguarding and championing the South Downs landscape. However, on this important anniversary, it is clear from the Prime Minister’s announcement on Monday that the South Downs National Park is under threat from the Government’s £15 billion new roads programme. (Incidentally this about equals the amount taken from local government over the past few years). “Today is the 5th anniversary of an important milestone in the history of the South Downs. 5 years ago we thought the future of the South Downs had been secured when it became England’s newest National Park. Yet already, this Government, egged on by many local authorities, seems hell bent on road building in the South Downs.